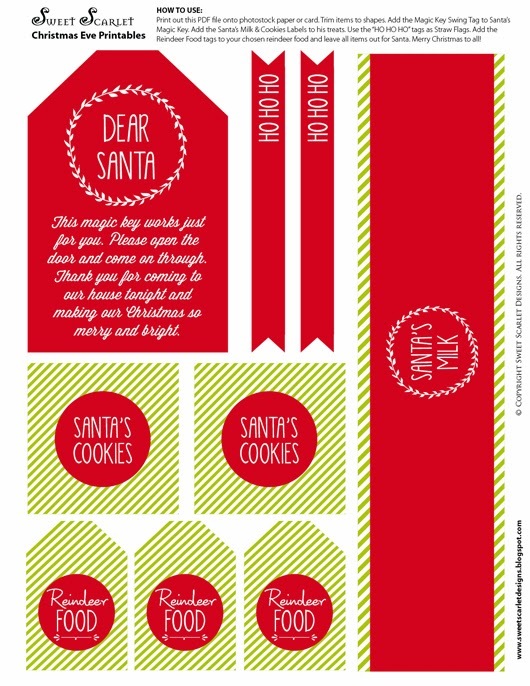 Celebrate the magic of Christmas this Christmas Eve with these free Christmas Eve Printables. 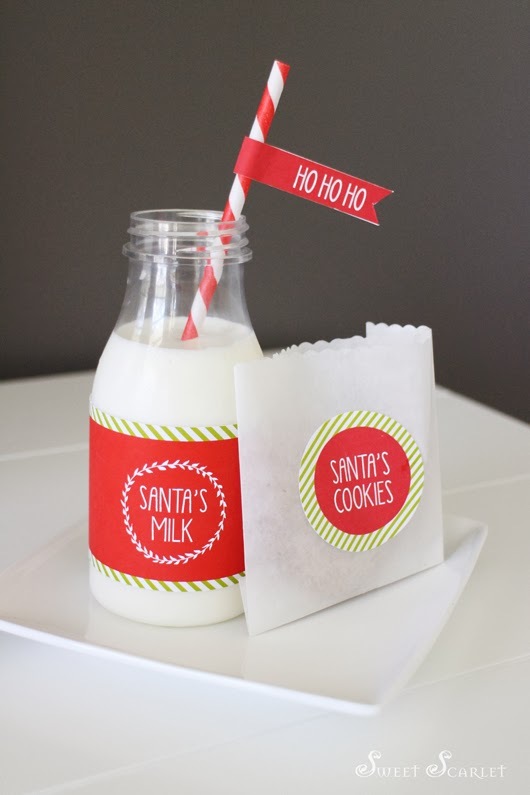 My kids have been quizzing me about how Santa gets inside the house to leave the presents, as we don't have a chimney, so here is a small way to add some extra magic to the season with Santa's Magic Key. Print and trim this key tag and attache to any key and it transforms to Santa's Magic Key – allowing him to leave all your presents under your tree. 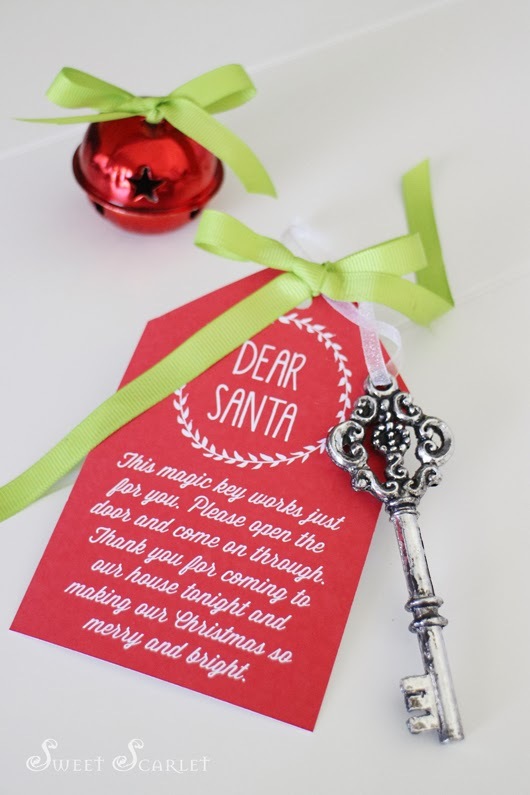 Wording reads: "Dear Santa, This magic key works just for you. Please open the door and come on through. Thank you for coming to our house tonight and making our Christmas merry and bright." 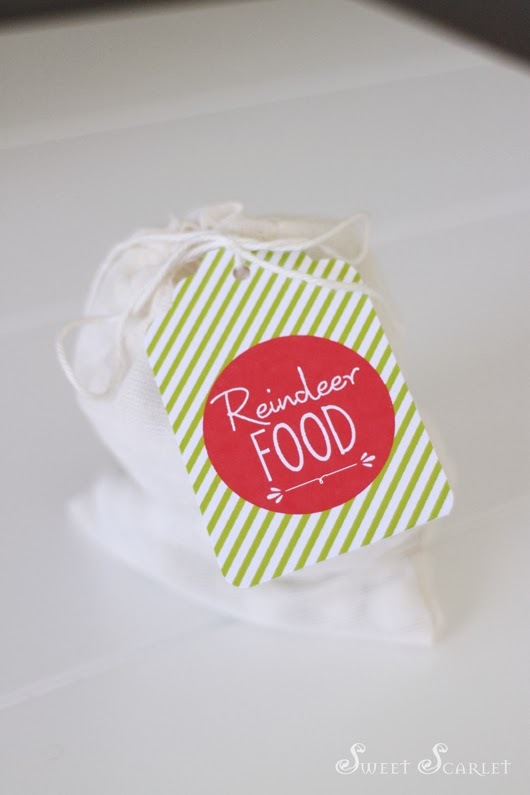 Also available in this free download are printable tags and labels for Santa's Milk & Cookies and of course Reindeer Food! I hope you find use for these these Christmas Eve printables! Wishing you and your family a very happy and safe Christmas! you are awesome! my kids loved it.